In 2016, Disney replaced a classic Epcot attraction about the history and culture of Norway with a princess boat ride through the fictional kingdom of Arendelle. Fans accused the company of watering down Maelstrom’s message with hit cartoons — then turned Frozen Ever After into the most popular ride on property. Can the situation in Norway get any worse? As we consider last week’s announcement about the new Han Solo spin-off movie — cryptically titled SOLO: A Star Wars Story — it turns out it can get worse. 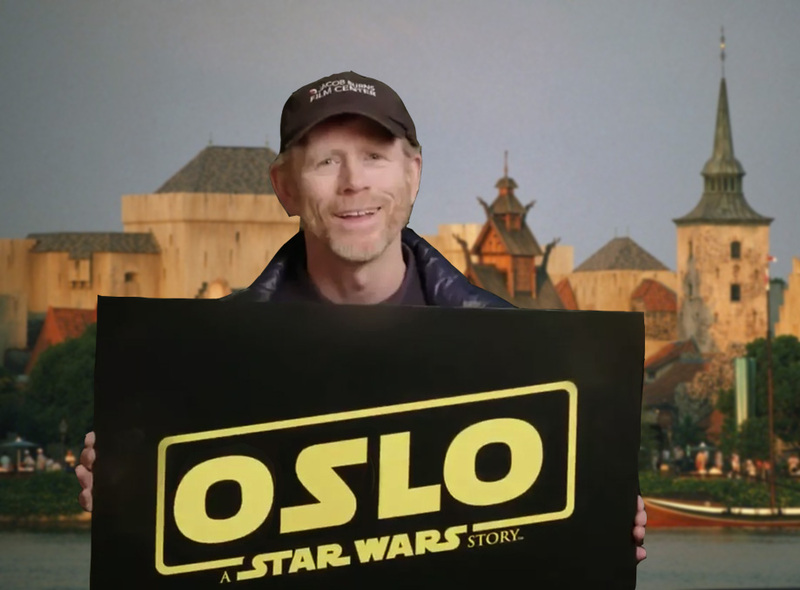 Ron Howard, Director of SOLO: A Star Wars Story, has it pretty easy when it comes to making title announcements. He only needs to swap two letters on his poster board and he has the name of Norway’s capital city. Might as well jam another popular IP into the Norway pavilion. Norway never participated in Epcot’s original Millennium Village. But as part of the Han Solo spin-off movie tie-ins, they might bring it back. Millennium Falcon Village may not look like much, but she’s got it where it counts, kid. 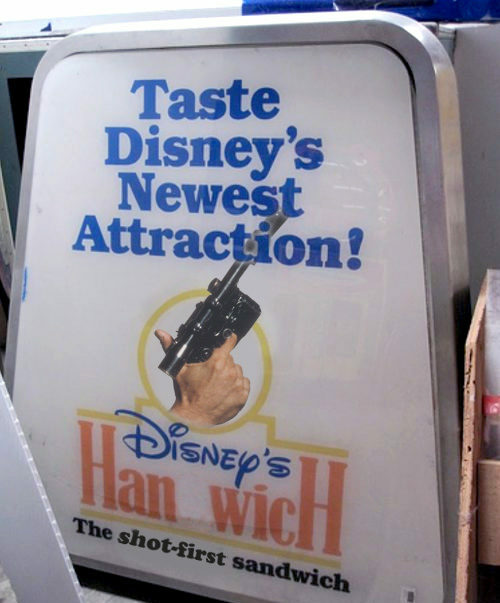 Our love of Disney’s original Handwich is well-documented. But if the Kringla Bakeri Og Kafe begins serving Han-wiches, we’d just as soon kiss a Wookiee. Hey, it’s been a year. 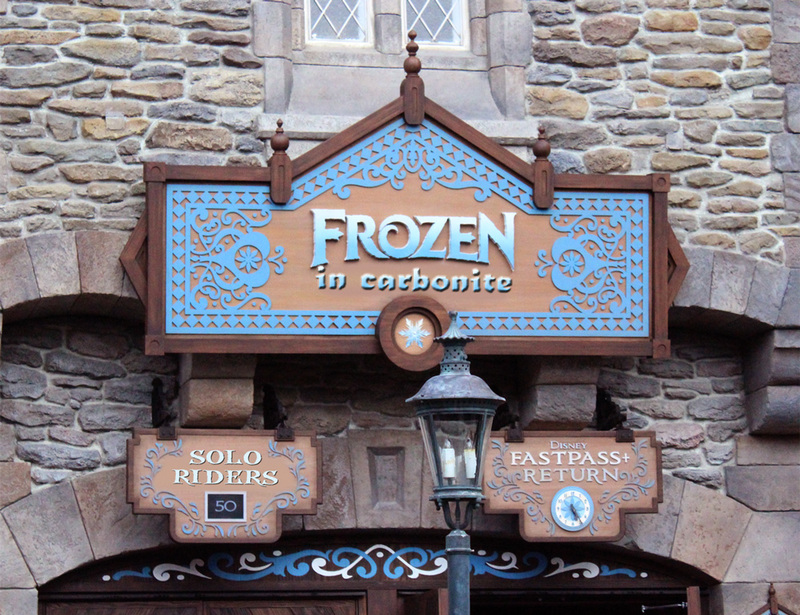 Frozen Ever After is due for a Carbonite makeover. It should be quite well protected. If it survives the freezing process, that is. 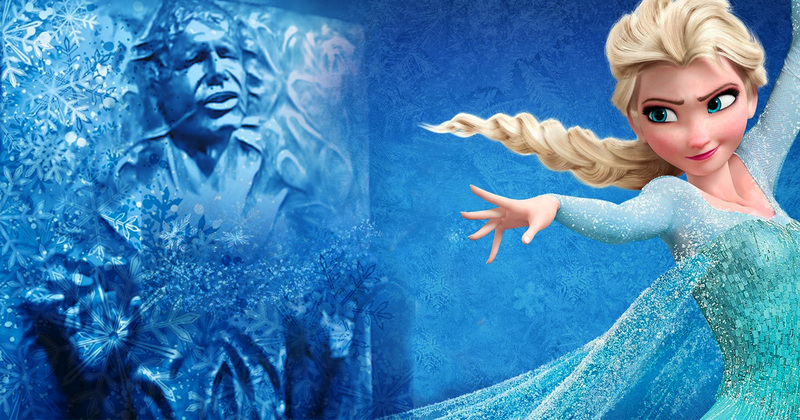 Anna and Elsa meet Han Solo in the eternal winter of Arendelle. Do you think a princess and a guy like him could — nevermind. I’m sure they think he’s just a stuck-up, half-witted, scruffy-looking nerf-herder. At least they can use this opportunity to add a single Solo riders line to the most popular ride at Epcot. Han Solo Never Met a Porg … Who Cares? 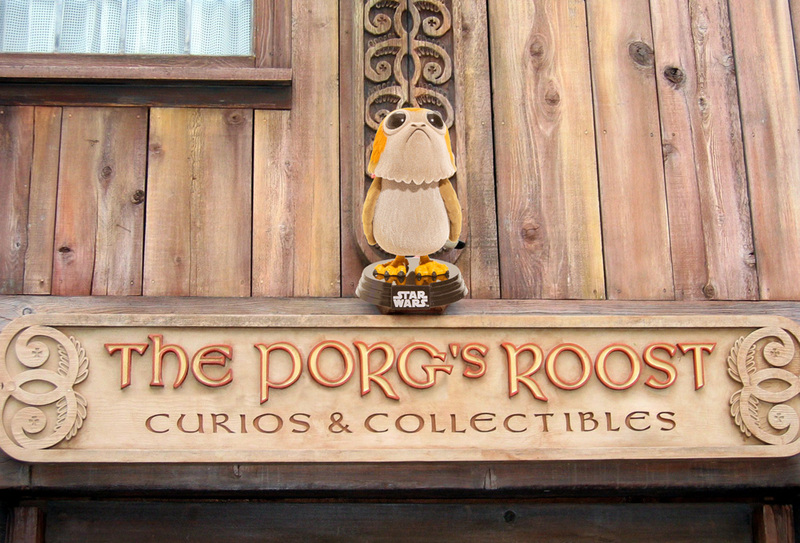 Porgs aren’t from the Han Solo spin-off movie at all. They’re from The Last Jedi — also a movie with title issues, which opens in December. But screw it. Porgs are cute and The Puffin’s Roost needs a Star Wars Story overlay. So what do you think? Are these the absolute worst Han Solo spin-off movie tie-ins, or do you have some even more terrible ideas to share? Sound off in the comments! This entry was posted in Theme Park Life and tagged Epcot, Frozen Ever After, Handwich, Maelstrom, Millennium Village, Norway, Star Wars, World Showcase. Bookmark the permalink. Pure Gold. Thanks for making me laugh out loud. Happy Halloween! It always makes me proud when my horrible ideas get a laugh! Thanks Jon! Turn Spaceship Earth into Spaceball City, turn Via Napoli into a Pizza the Hutt themed restaurant and Mission: Space into a flight in Lonestar’s winnebago. Oh, wait… I’m getting my epic space movies mixed up again. Sorry about that. 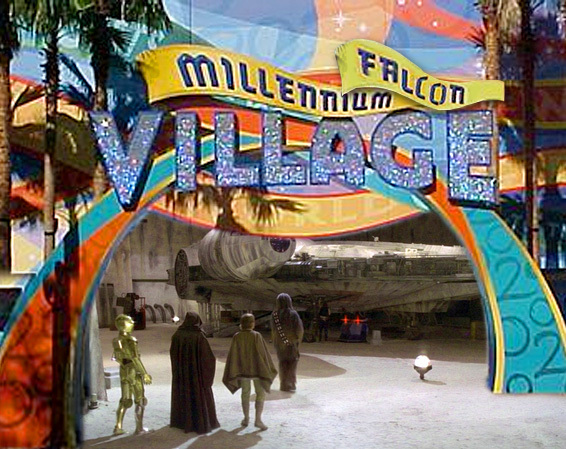 Turn Spaceship Earth into the Death Star with Han Solo scenes from A New Hope.